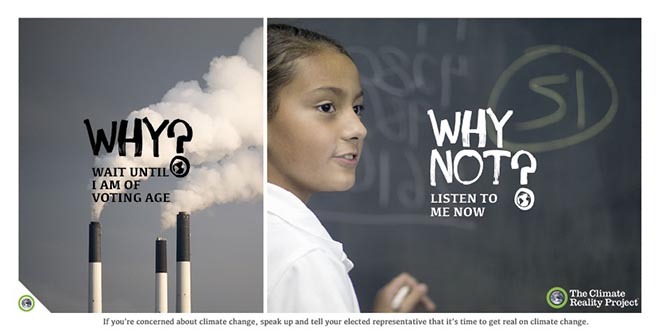 Former Vice President of the United States Al Gore is supporting the United Nations by urging young people across the globe to demand world leaders act on climate change as part of the new Why? Why Not? campaign. The campaign will work to recruit young people from around the world, aged between 13 and 21, to be the voices of the generation with the most to lose from the effects of climate change. 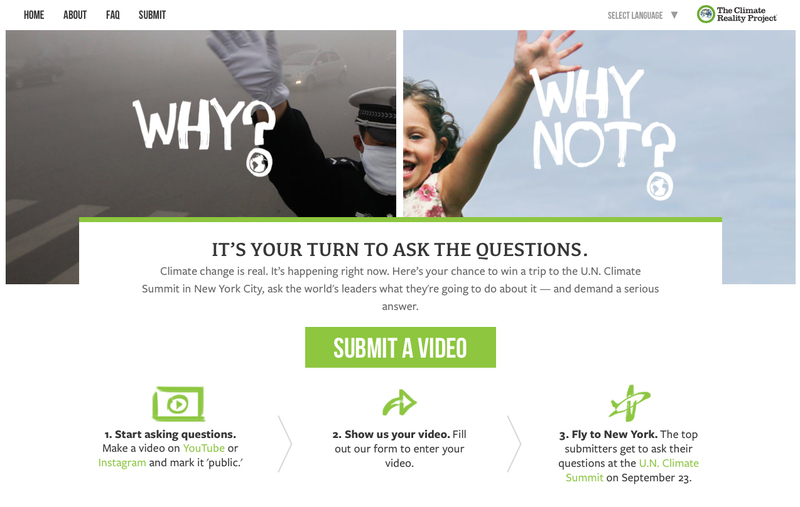 The campaign will launch a contest inviting young people to film a short video asking leaders a “Why?” or “Why not?” question on climate change and solutions, with the opportunity to win a trip to the U.N. Climate Summit in New York City. 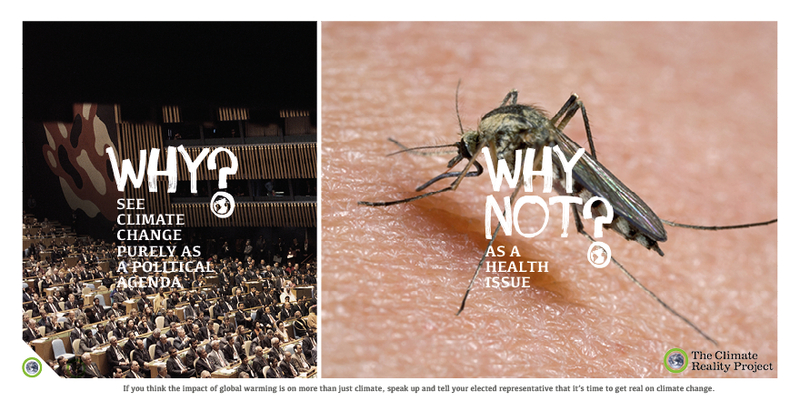 For information on how to create and submit a short “Why?” or “Why not?” video, go to askwhywhynot.org. 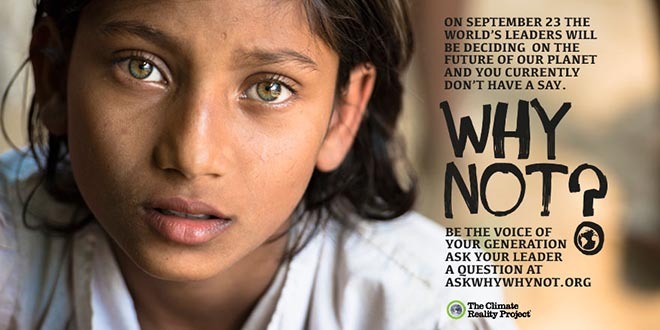 The campaign is a cohesive, multidisciplinary effort, delivered by eight individual WPP agencies and affiliates from different geographies and disciplines (strategic planning, advertising, media investment management, digital communications, public relations & public affairs and youth marketing) supporting the launch and rollout of the campaign. The agencies are: GPY&R Sydney; JWT; Maxus; The Futures Company; PPR Australia; The Glover Park Group; Blue State Digital; and affiliate company VICE. Led by Andrew Dowling, Lucielle Vardy, newly appointed Executive Creative Directors Bart Pawlak and David Joubert, and Y&R New York’s David Sharrod, the GPY&R Sydney team presented the campaign to Mr. Gore and his team at The Climate Reality Project, as well as the Climate Change and Communications Groups at the United Nations. The process, under the direction of WPP Group Planning Director Jon Steel and Worldwide Creative Director John O’Keeffe, invited five WPP agencies from all over the globe to present their response to the brief. “We want people of all ages to continue to ask these questions of their elected representatives to help highlight the problem in the current approach to climate change, and the future solutions we should be sanctioning now,” said Andrew Dowling, Managing Director at GPY&R Sydney. 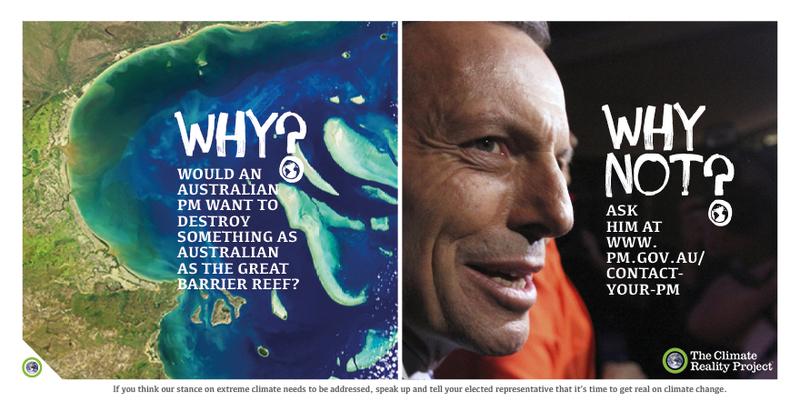 Full-service public relations agency PPR Australia has been appointed as the lead agency to support the global launch and rollout of the campaign.